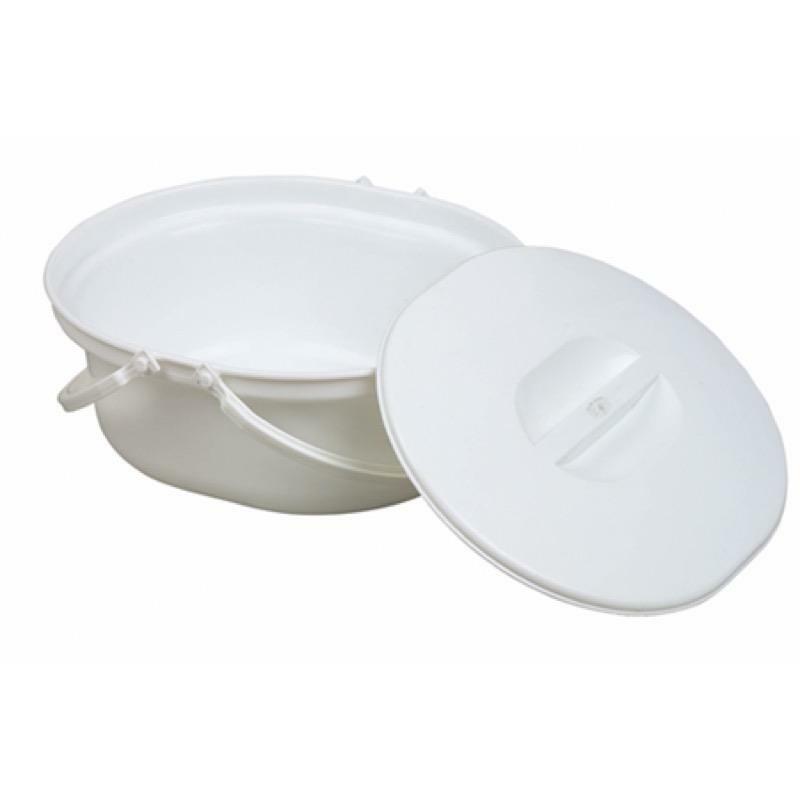 Replacement large oval commode pan & lid with rear handle. Suitable for the extra wide Sidhil Bariatric commode. Delivery of this product will be made directly from the manufacturer in approximately 5 working days.